You have already taken this quiz and passed. You can take it again, however you will not gain access to any additional levels. 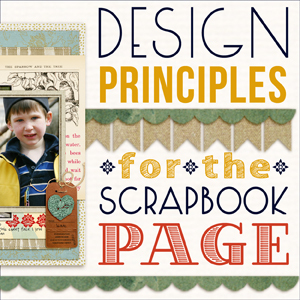 Welcome to Design Principles for the Scrapbook Page–12 lessons that teach you about 6 design principles and illustrate putting them to work on the scrapbook page. 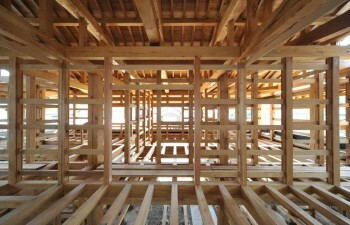 A structure is essential for making both beautiful and stable creations. This lesson lays out the structure this class teaches. Get started with lesson 1 to understand the ground we’re covering: 6 design principles important to making layouts, and 5 key page parts. Different parts of your scrapbook page should have different levels of importance. Without some variation in emphasis among the elements on your page, everything takes on the same level of importance, and the viewer has to find some way into your page on their own. When emphasis exists, though, the viewer’s eye is drawn to a starting point and then (with some good “flow management”) knows where to continue. The result is the viewer “gets” what your page is about. Including repetitions is a good way to work toward achieving unity on a page. These questions are all from the materials in lessons 1, 2, and 3. Read the materials and take the quiz. Answer 4 or more correctly and earn the Focal Points class. Welcome back to “Design Principles for the Scrapbook Page.” Earlier lessons covered the design principles of Emphasis and Repetition. Today we’re talking about another principle: Alignment. What are the balancing acts in your life right now? Are you trying to get enough exercise to feel good about that big ice cream cone you had last night? Maybe you’re balancing saving and spending money. Perhaps you’re getting up a little earlier so that you’ll be done with work in time to spend time with family or friends. Balance is about mixing and matching, giving and taking. It’s about placing two small stones on one side of the scale to balance the single large stone. When the different parts of your life are in balance with one another, your days are easier to navigate. When the parts of a scrapbook page are in balance with one another, you’ve got a page that’s pleasing to look at and that tells your story well. When you can incorporate visual flow into your scrapbook page design, you’ll guide the viewer’s eye through it, revealing what’s important along the tour. These questions are all from the materials in lessons 4, 5, 6 and 7. Read the materials and take the quiz. Answer 4 or more correctly and earn the Design Play class. We’ve covered 6 design principles so far — and now it’s time to look at 5 page parts. This lesson lays out a roadmap for considering page parts–and the subsequent lessons will get in deeper on each of them. In the last lesson we made the move from focusing on design principles to looking at the basic parts of a scrapbook page. The choices you make regarding each page part should be done with an understanding of the implications for good use of design principles. Today we’ll look at photos. We’re nearing the end of learning about how understanding design principles and using them as you choose and place all the parts of a scrapbook page yields awesome and original layout ideas. Lessons 2-7 covered design principles (emphasis, contrast, balance, alignment, repetition, flow). Lessons 8 through 12 are about putting those design principles to work as you render all the parts of a scrapbook page (photos, journaling, embellishments, title, and canvas). In this lesson the focus is on titles and embellishments. While each of these topics could fill many lessons on their own, for this class I’ve grouped them together because (in my mind) titles often work as page embellishments, and the design considerations for them are the same or quite similar. This is the final lesson in Design Principles for the Scrapbook Page. The initial lessons covered six basic design principles: emphasis, contrast, repetition, balance, alignment, and flow. Subsequent lessons (including this one) covered 5 basic scrapbook page parts: photos, journaling, title, embellishments, and canvas. These questions are all from the materials in lessons 8 through 12. Read the materials and take the quiz. Answer 4 or more correctly and earn the Layout class. And that’s it! We’ve looked at 6 design principles and 5 page parts and lots and lots of ways to put them all together.